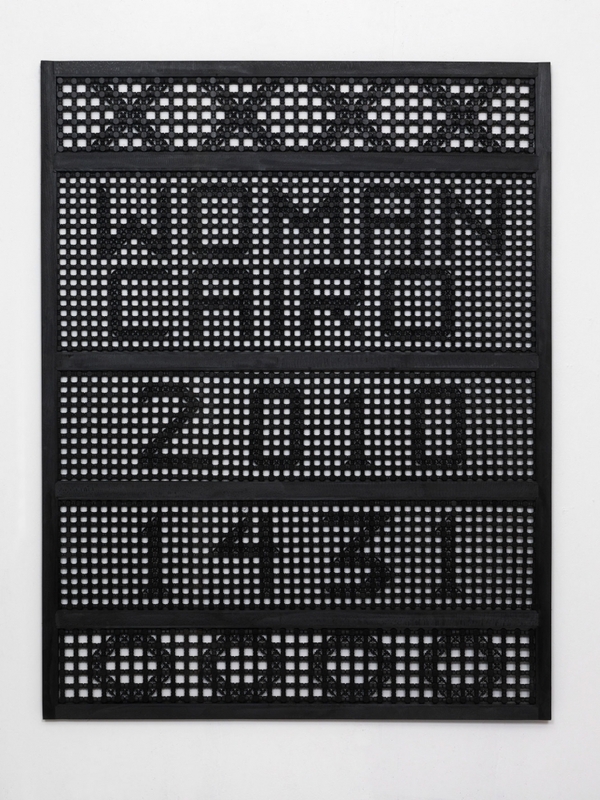 Susan Hefuna, Woman Cairo 2010/1431, 2010, Ink on wood, 86.625 x 67 inches. 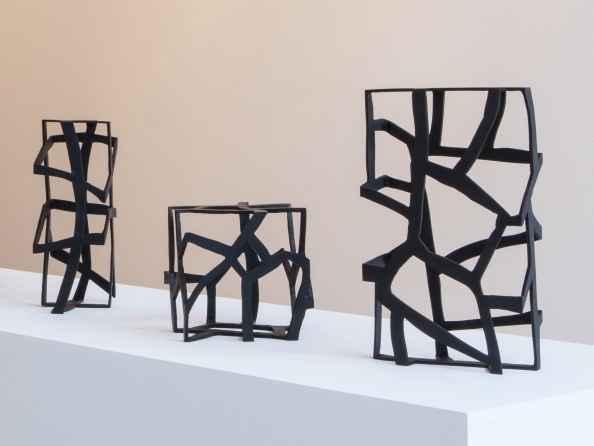 Rhona Hoffman Gallery is pleased to present a survey of recent works by Egyptian-German artist Susan Hefuna. This will be her first solo exhibition in the Midwest. For the past twenty five years Hefuna has been creating drawings, sculptures, installations, and video performances which focus on cross-cultural codes and the personal experiences of living within different cultures. Her work questions the significance of imagery, and often creates dream-like spaces though abstract and formal means. This exhibition includes a series of Hefuna’s structural drawings from Fare Mondi, the 53rd Venice Biennial curated by Daniel Birnbaum in 2009. Produced with one uninterrupted movement of the hand and composed of ink atop multiple layers of tracing paper, the drawings are both fragile and vulnerable. They delicately transform the puzzling state of mind we call dreaming - a state of both the known and unknown - into tangible objects reminiscent of architectural spaces and structures within nature. Also included in the exhibition are a selection of textile works, photographs, bronze casts and wooden Mashrabiya screens. 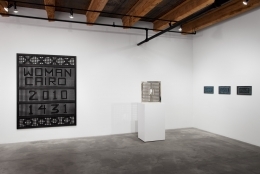 Inspired by the architecture in Cairo, the Mashrabiya screens are delicately constructed of turned wood painted with black ink, and display inscriptions such as “CONFESSION” or “WOMAN CAIRO” which only become visible from a distance. Other phrases such as الصبر جميل (Arabic for “Patience is Beautiful”) or “ANA” (the Arabic transcription of “I”) are repeated multiple times in Hefuna’s beautifully rendered cast bronze works which reference empowerment, surface, and the translation of ideas. 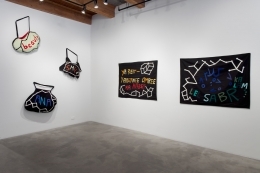 Susan Hefuna has been exhibited internationally at institutions and galleries such as the Serpentine Gallery, London (2012); On Line: Drawing through the Twentieth Century the Museum of Modern Art, New York (2010); Townhouse, Cairo (2011); Kunstmuseum, Thun, Switzerland; MUMOK, Vienna (2010); Belvedere Museum (2010); Galerie Grita Insam, Vienna, Austria (2010); Fare Mondi, 53rd Venice Biennial, Italy (2009); Seville Biennial, Spain (2008); New Museum, New York, USA (2008); 2nd Riwaq Biennale, Palestine(2007) ; 9th Sharjah Biennial, UAE(2007) ; The Louvre, Paris (2004/2005), France; National Gallery, Cape Town, South Africa (2001). In June of 2012 Hefuna’s work will be exhibited at the Sydney Biennial in Australia. Currently she is working on a project with Morphoses involving drawing and dance at the Drawing Center, New York scheduled to open in November of 2012. Her work is included in several public collections such as The Museum of Modern Art, New York; Victoria and Albert Museum, London; British Museum, London; Institut du Monde Arabe, Paris; Dior, Paris, Kemper Museum of Contemporary Art, Kansas City, Missouri, CU Galleries, University of Colorado, Boulder; Dubai International Finance Center, Dubai, UAE; Sharjah Art Museum, Sharjah, UAE, and Fondation Louis Vuitton, Paris, France. The artist currently lives and works in Düsseldorf, Cairo, and New York City.